One month before Orville Wright's birthday (which we remember today on National Aviation day) he was injured in a plane crash while demonstrating the Wright Flyer to the U.S. Army in Ft. Myers, Virginia with Lt. Thomas E. Selfridge on board. On their fifth circuit of the field, the Flyer’s right propeller broke unleashing a cascade of other problems that caused the plane to nose dive. Selfridge, a pilot and airplane designer was killed. There is little doubt in my mind that these aviation pioneers understood the risks associated with taking to the sky. Of the uncertainties for aviation pioneers, Wilbur Wright wrote this beautiful warning; "If you are looking for perfect safety, you will do well to sit on a fence and watch the birds; but if you really wish to learn, you must mount a machine and become acquainted with its tricks by actual trial." It is a lesson for life itself, as so much of aviation is. Today I am thinking about this risk/benefit analysis as I work on the last section of my forthcoming book Lost & Confounded, because I am closing in on the most uplifting (yes, pun IS intended) section of a manuscript filled with mystery, conspiracy and fallibility in the world of aviation. 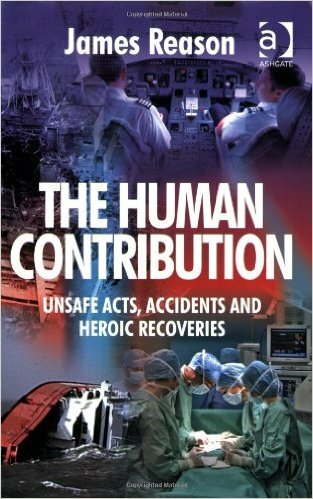 But under the heading of resiliency, you will read about people who turned near-certain catastrophe on its head; pilots who drew on their uniquely human capacity to respond to novel events with novel solutions, pilots who reversed bad fortune and saved the day. I was inspired to explore this subject by James Reason. You know him, the father of human factors who in adorable self-deprecation refers to himself as the guru on “human as hazard”. Human can also be hero which is the message of his 2008 book, The Human Contribution. But don’t take our word for it. Read for yourself in the thumbnails below. The full stories will be included in Lost & Confounded when it is published by Penguin next Spring. The 777 with 152 people on board slammed into the field just past the radar array. Burkill’s later calculation was that the maneuver gave him an additional 51 meters of flight, getting the plane 40 meters ahead of the radar array when the plane finally hit ground. There were no fatalities. After an overnight flight from Los Angeles to Chicago the crew realized the landing gear on the MD-80 was not extended and a fly by the control tower confirmed the problem. Tangeman and Strand flew a box pattern to discuss possible solutions with maintenance. Unfortunately, there was no resolution so on landing Tangeman decided to stay on the main gear as long as possible without operating the thrust reversers. "We touched down on the mains and let it roll," he said. When the aluminum skin of the DC-9 finally hit the tarmac the sound was like "running a Skil saw on a garbage can and we stopped really fast at the 7500 foot mark, fully loaded with no reversers.” None of the 136 aboard was injured. Shortly after takeoff from Singapore’s Changi Airport, an uncontained engine failure on the number 2 engine of an Airbus A380 sent debris flying through the wing and into the fuselage. The effect was to cause three of the jumbo’s four engines to malfunction and that was just the start. 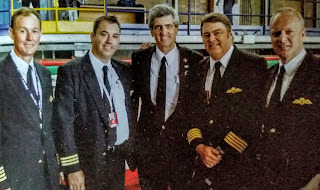 To a cacophony of error and advisory messages, the five men with a combined 76,000 hours of piloting flew for 90 minutes while diagnosing the many issues and getting a feel for how the plane was handling with a flight control check. It was this exercise that gave de Crespigny the confidence to continue with the landing back at Changi as practiced despite speed and stall warnings in the final seconds. There were no injuries to any of the 469 people on board.